Please come out and join us at Davis County Fairgrounds sponsored by Porsche Lehi. This is one of our favorite autocross venues, offering plenty of space to let your Porsche stretch its legs. 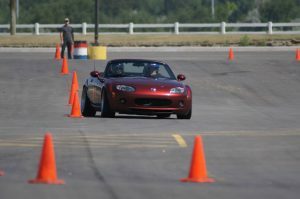 Come on out and give autocross a try! The social environment is low-key, and the level of intensity you bring to the driving is completely up to you. Unfortunately, we’ll have to wait until after the driving to enjoy the margaritas.